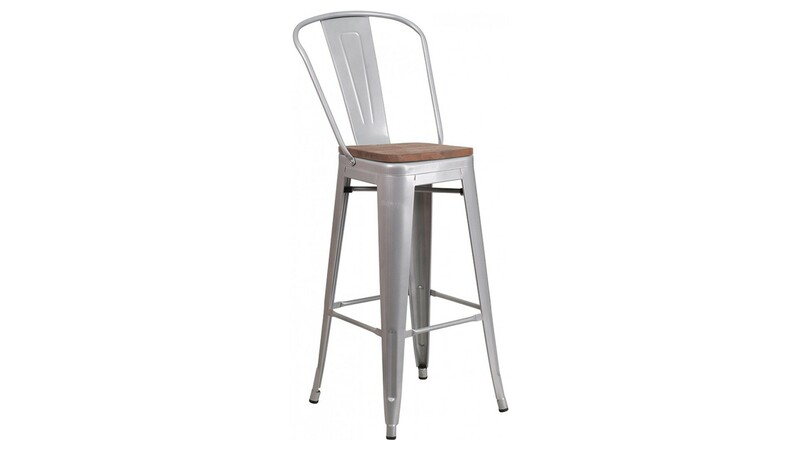 The high back, Bistro style bar stool will give your dining room or bar decor a refreshing rustic feel with its metal and wood features. 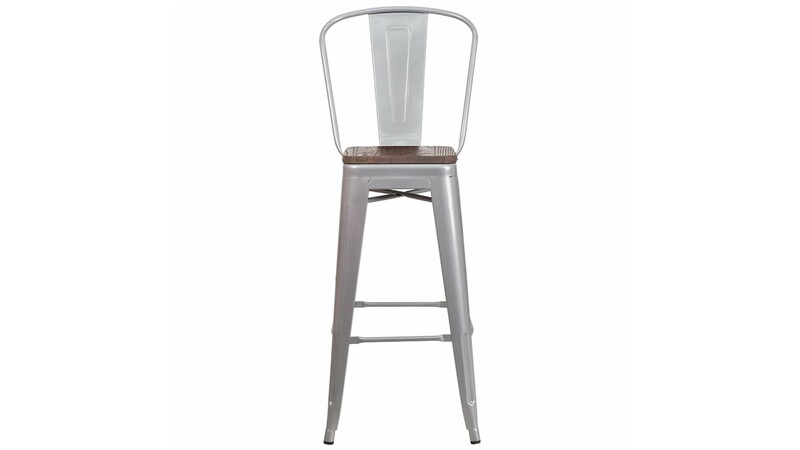 This stylish metal stool features a curved back with a vertical slat and a cross brace under the seat for added support and stability. 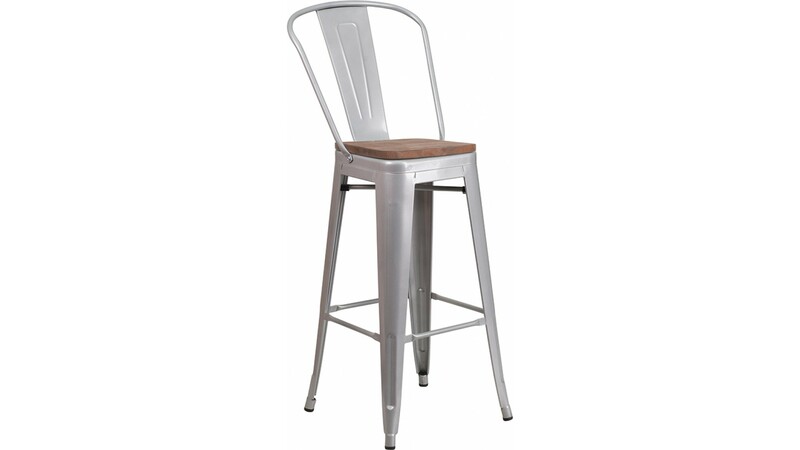 A wood seat adds comfort and beauty. 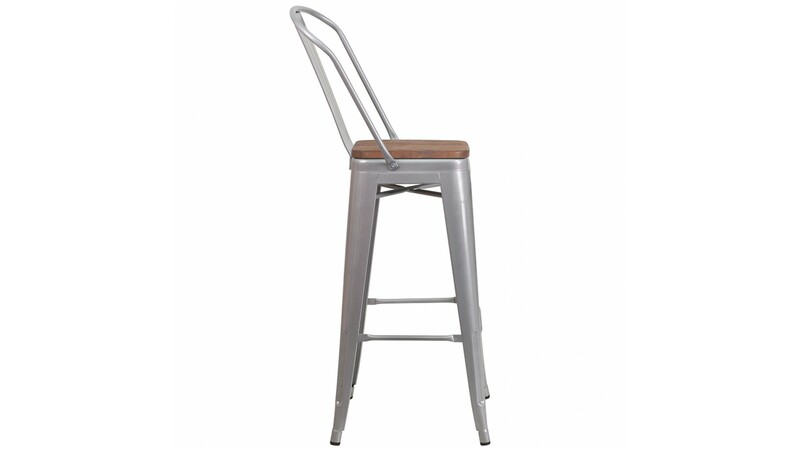 The lower support brace doubles as a footrest, and the glides protect your floor by sliding smoothly when moving it. 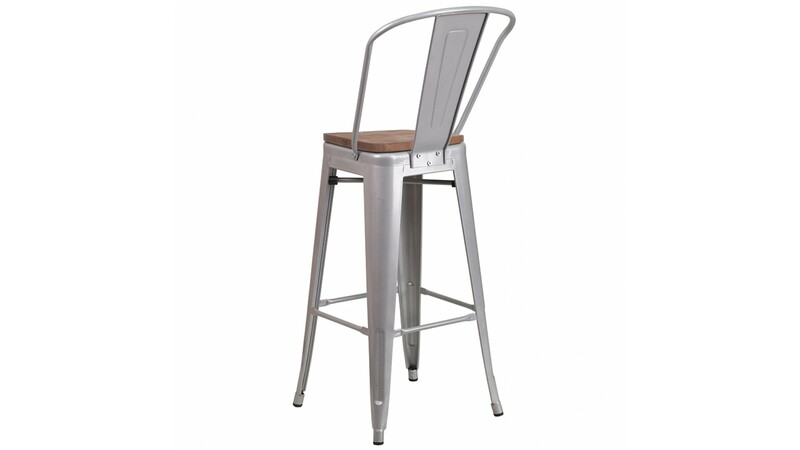 Designed for both commercial and residential use, this trend-setting setting bar height stool is a great choice for your restaurant's dining area or your home bar.